This versatile brush gives the modeler excellent control when defining areas, something very useful for using with your paints, oils, washes and filters. With this brush you will be able both to cover large areas and highlighting fine details, a very versatile brush. 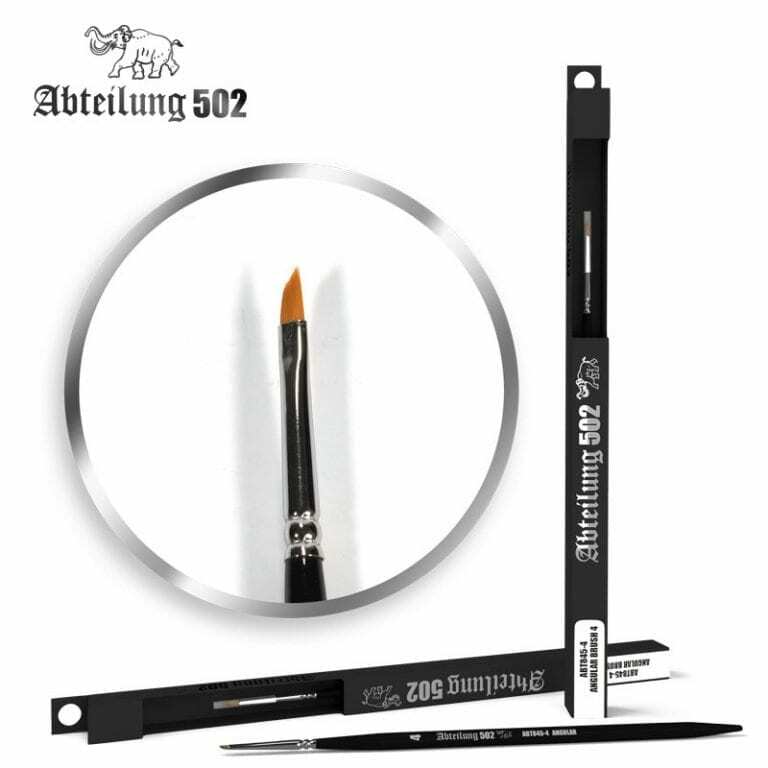 Abteilung 502 brand of brushes have become the corner stone “go to” brush in the world of modelling. Our wide range of high quality brushes allows you to achieve the best results and you could choose the one that best suits your needs. With these brushes you can achieve all the needed effects for a perfect finished model. 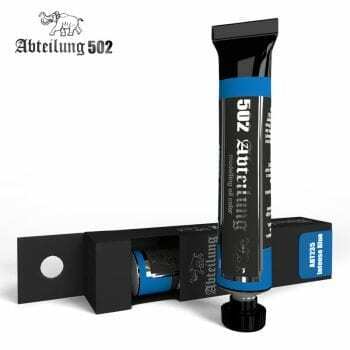 Quality and conservation of brushes is of great importance because they will make easier the most efficient application of the paint. And also using our ABT114 Magic Gel you will keep your brushes like new.